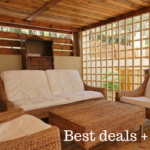 Happy New Year: for 8 days, enjoy a €185 KICK-OFF discount on your holiday villa in Spain! Christmas is over; a brand new year has begun. Maybe you took a moment to reflect on what is really important to you in life. Perhaps you decided to worry less and enjoy more. Let’s get on with it immediately! We want to kick off 2018 in a spectacular way. 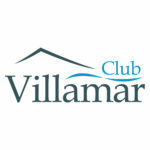 Book your luxury holiday villa within 8 days and enjoy a €185 KICK-OFF discount! Booking your villa at this time of the year has even more advantages. A wide choice means less worry. There’s a significant chance your dream villa will be available during the period you have in mind. The enjoyment will start immediately after you’ve completed your reservation. Lose yourself in the tempting pictures on our Facebook page and our Instagram account, and read everything about your destination on our website. The winter will be over before you know it! 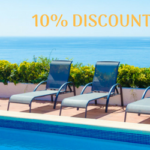 So, this year, make a beautiful start: choose and book your favourite holiday villa with private pool in Spain and enjoy a €185 KICK-OFF discount! It couldn’t have been a better start. We wish you a healthy and happy 2018 with many marvellous holidays! 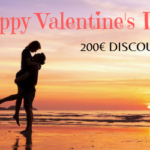 *This discount promotion is valid until 10/01/18, applies solely to 2018 bookings, to rent from €2,000 (additional costs not included). The discount cannot be combined with other discount promotions. To receive this discount, please enter the code KICKOFF2018 in the comments field of the booking procedure. After that, we will send you the booking confirmation including the valid discount.